Something is coming to make cities safer, and it isn’t Batman and Robin! It is in fact street and city lighting designed to improve urban living. 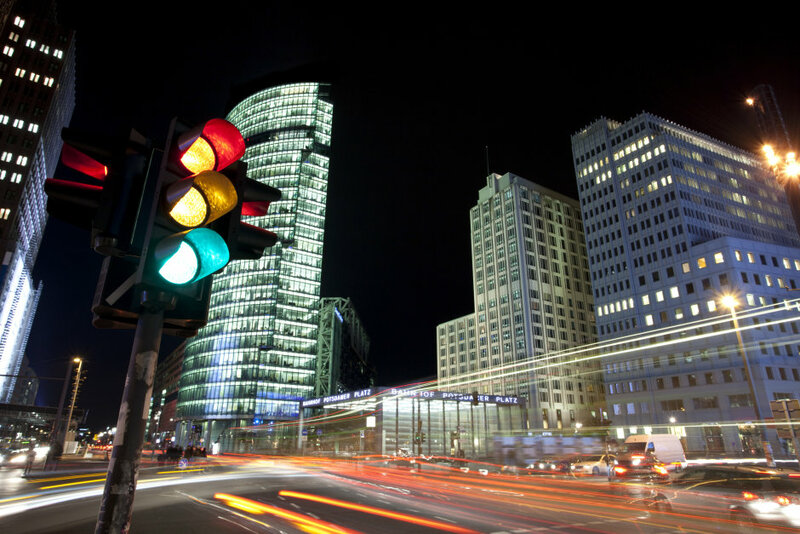 Will junctions, parking areas and lights communicate? Will they be able to give signals to road users and help avoid accidents? And what can the lighting industry expect from emerging technologies? City life or country living? It seems there’s no contest. Cities are winning hands down as more and more of us opt for an urban existence. In fact, the number of urban residents is growing by a staggering 60 million a year. By 2050, around 70% of us will live in cities, based on United Nations estimates. Of course more urban living means more energy consumption. Take lighting for example. This already eats up around 20% of the world’s electricity, according to the International Energy Agency (IEA). Cities clearly need artificial lighting: it makes people feel safer and creates a welcoming environment for business and tourism. Nobody wants to blunder around in the dark in a neighborhood that isn’t properly lit, where crime could fester in the shadows. Thankfully, a technology revolution is underway, as cities increasingly switch to energy-efficient LED technology. The move is set to drastically slash global lighting costs. By 2027, widespread use of LEDs could save about 348 terawatt-hours (TWh) of electricity in the US alone. This is the equivalent annual electrical output of 44 large electrical power plants, meaning savings of more than $30 billion at today’s electricity prices, according to the US Department of Energy. And of course, brighter LED lighting also means better visibility and a greater sense of safety for local residents. The next step is to install smart street lighting systems, employing technology from the Internet of Things (IoT) and machine-to-machine (M2M) communication, or direct communication between devices. It may all sound like a science fiction movie but thanks to M2M networks and LED street light systems, we will soon be able to turn individual street lights on and off when needed: if nobody is around they will dim, only lighting up when a pedestrian, cyclist or car looms into view. Sensors will also allow environmental information to be recorded. These individual smart street lights will be connected wirelessly to a service center, allowing city authorities to monitor and manage lights centrally. Take OSRAM’s Street Light Control (SLC), for example, a system based on a network of LED lights, with software that allows lights to be used individually or in a group. Controlling street lighting remotely will protect the environment by avoiding greenhouse gas emissions. The technology means that street lighting will be kept under scrutiny at all times, making it easier to identify faults and fix them rapidly. What’s more, needs-based lighting will make urban spaces more attractive and safer, shedding more light for example on dark parking lots, where people might feel unsafe. Cities such as Eindhoven in the Netherlands have also introduced illuminated pedestrian crossings, where sensor-equipped white stripes light up to tell people when it’s safe to cross the road. Smart street lanterns can even be adapted to suit the weather, flashing red to warn residents of approaching storms or floods. The lights can also change their hue based on the time of day or density of traffic. Of course, no advance comes without its challenges. Urban planners could be restrained by too small a budget or a lack of joined-up thinking about what technology is needed city-wise. In addition, the American Medical Association has raised concerns that the blue light emitted from LED street lighting could cause sleep problems. Although this might be avoided by technology that will allow city authorities to adjust the light level, turning up the levels of light during an emergency, for example, to help emergency services with their work. Whatever fine-tuning still needs to be done, the technology is already changing our cities and the way we live. 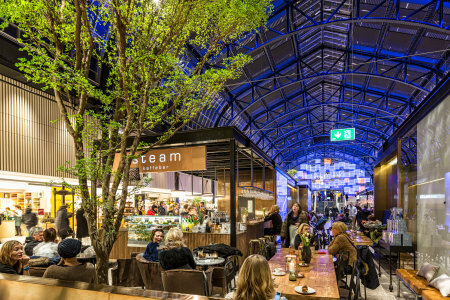 Just look at the German town of Wipperfürth, where OSRAM lighting technology enables luminaires to send information via Bluetooth. Currently 20 modern LED city light pillars have been installed in pedestrian areas and parks, equipped with a street light control system and technology called Einstone, an IoT scheme, which emits a Bluetooth signal. This signal can be received by smartphones and used with an app, allowing users to access general information or find out about specific shops and restaurants, or where there are free car parking spaces for instance. The future is bright.